The quest for spirituality in today’s society is accentuated by the remarkable capabilities of today’s multimedia systems. In addition to following traditional approaches to spiritual enlightenment, churches, both traditional and much less so, also now employ a variety of audio/video sensory engagements to heighten the experience of their members. As demands for greater sensory experiences grow in spiritual environments, audio/video professionals will need to better plan, develop and execute this profitable aspect of their business. We’re going to a take a look at several factors unique to churches that AV professionals should actively consider. Church installations are unique in that congregational members expect a mood changing experience — in reflection, meditation or excitement — to result from a new AV installation. Most important, they want this from facilities that present special challenges for AV professionals, often because of their large size and complex architectural characteristics. Many churches, for instance, need long wire runs that are susceptible to feedback or noise induction created by the air handling equipment. Not surprisingly, large facilities require a relatively long time to prepare bids. The typical sell-cycle for a church can be longer than for other types of semi-commercial installations. This multi-month process usually starts with an individual or committee-based needs assessment that seeks to incorporate a multi-media footprint in the facility. Funding for the project will ultimately be voted on by the church’s governing body. Depending on how the governing body is set up to do business, funding for a project will be either cost-based from an existing bid, or budget-based, which allocates funds to the project. Once you understand the budgeting process for a given church or facility, several questions should be addressed. In particular, the AV professional and the church’s project leadership need to agree on the goal of the budget. To this end, competent AV professionals understand the value of presenting a recommendation that includes ‘good, better and best solutions’ that satisfy the goal of the budget. In addition to this tiered option set, it is also valuable to explain the project’s requirements for short to long-term system reinvestments. 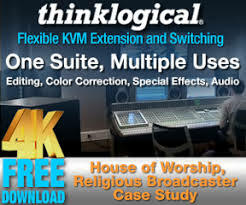 Church leaders tend to evaluate an AV professional’s bid not only on its cost, but from a perspective that includes the AV professional’s reputation in the community, referrals, professional service plans, his ability to be on call 24/7, and professional liability coverage. While the actual AV installation can often be managed by one or more of the church’s leaders, most are managed through a project manager contracted or employed by the church. If construction issues come into the picture, architects and craftsmen will also be involved, and the AV professional must be prepared to interact with all project teams. As with schools, summer is the most common time for AV installations to proceed in many churches. This usually least inconveniences the many services and celebrations held at the facility. But regardless of the season, access to churches can often be problematic since events are scheduled at various times of the day. Finding contiguous non-intrusive time slots can require diligent scheduling. Lighting is another concern, as light sources for virtually all houses of worship need to provide subdued illumination levels, even at maximum power. As a result, AV professionals should be prepared with additional stand-alone light sources. A key question facing all AV projects for a church is whether it represents a new installation or a retrofit. Each approach requires its own type of planning, equipment and, sometimes, personnel. However, whether an installation is brand new or a retrofit, the acoustics in a church have to be designed to accommodate the spoken word, congregational singing, choir or group singing, and electronic audio. In addition, such factors as the normal apex of a church roof, smooth and highly polished surfaces, wood benches, choir lofts, and private areas create untold opportunities for feedback and/or poor audio interactive spots. The sheer complexity of church structures makes it essential to have an acoustic engineer draw up a detailed acoustic plan. In planning the AV design and layout of a church, the AV professional should also identify future needs, and talk to the facility’s leaders about how to plan for the installation’s life span. Being a proactive business partner is one of the best ways to build your business while remaining both competitive and profitable. Apart from the central spiritual uses of any church, each facility will also likely have a number of connectivity needs that cover such activities as meetings, recording sessions, teleconferences, even unique tele-services. Partly as a result, it is not uncommon for AV bid applications to incorporate proposals for communication and control systems, lighting and sound systems, even Internet and broadcast systems. Display devices typically used in churches run the gamut from projectors and monitors to plasmas displays, smart boards and white boards. Each of these visual technologies face challenges involving poor viewing angles and enormous amounts of ambient light. Stained glass windows will always be prevalent in churches for their beauty, but the morning sun filtering through these windows can create havoc with projection screens. 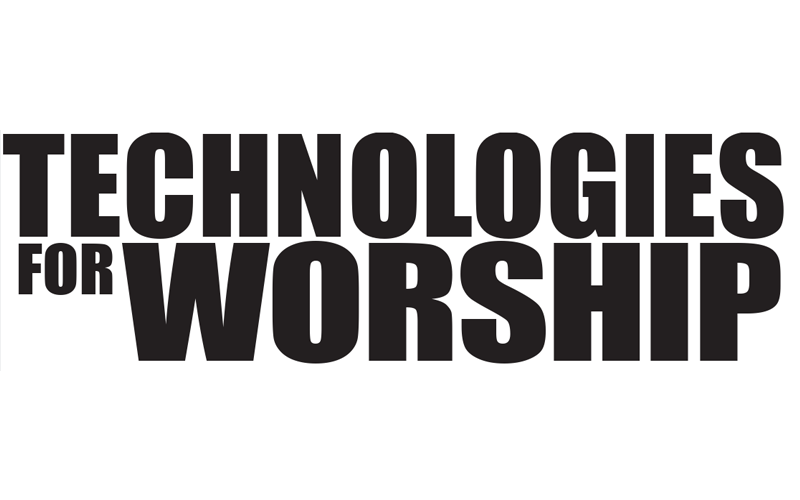 Other devices frequently deployed in churches are networked PCs, DVD players, microphones and, of course, speakers. AV professionals will always want to conduct a physical review of the facility to help him or her correctly assess the installation’s needs, one of which is that electronic invisibility is almost always a key objective. Consideration should also be given to local code issues concerning conduit, as well as plenum cable and tray cable requirements. Ease-of-access by a multi-generational user group to certain controls systems can also be built into the overall plan. Plates and panels are another often overlooked element in designing AV projects for churches AV. Most AV installers underestimate the functional need churches have for “plug-in” locations. This is the perfect part of the installation to plan for more capacity, rather than less. Given the rate of increase in component costs, managing project budgets is another challenging aspect of AV installations — especially given the lag time between when a contract is signed and an installation begins. It is always sound business to contractually talk about potential increases in the cost of such necessary items as electronics, speakers, and wire and cable products so that you and your business are protected from cost increases. One way to manage potential cost increases is to review whether a fiber or copper cable based infrastructure is the right choice for a project. In a simple installation, for example, fiber would not be cost effective. However, fiber might make more sense, if a facility is large or has multiple locations in, say, a campus environment. Managed correctly, church installations can develop into an annuity-type business to the AV professional. In addition to the basic service plans AV professionals usually offer, many of the more successful pros that service churches contractually build in 36- and 60-month check-ups. These strategic sales calls allow church directors and AV professionals to evaluate, recommend and plan for system expansion and future upgrades. 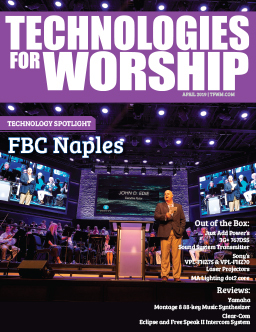 Working in churches and other houses of worship can often be challenging, but it can also be unusually rewarding in a way that AV professionals rarely otherwise have an opportunity to experience.